Generally speaking, a ring about the moon or sun indicates that precipitation is soon to follow. Thanks for posting that link. Beautiful photos. Interesting to learn what it is called. I saw a magnificent one around the moon one night a few years ago, and I estimated the diameter of the circle to be about 45 degrees. Seems I was pretty close! Around here, old folklore has it that the number of stars showing in the moon's halo predicts the number of days until the next storm. 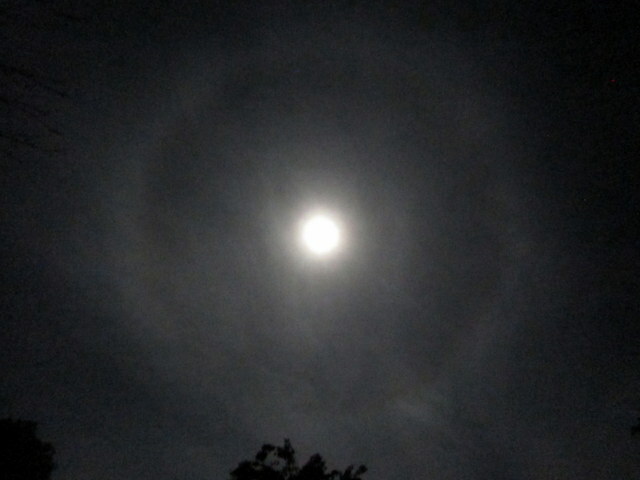 I'm attaching a photo of a 22-degree lunar halo that I took last December. 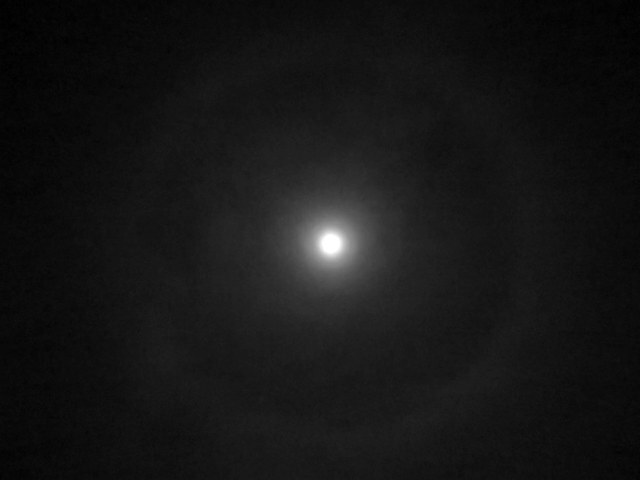 Here's a lunar halo that I photographed three years ago.